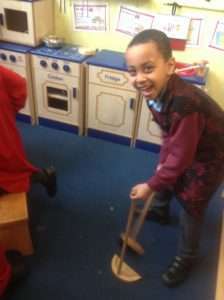 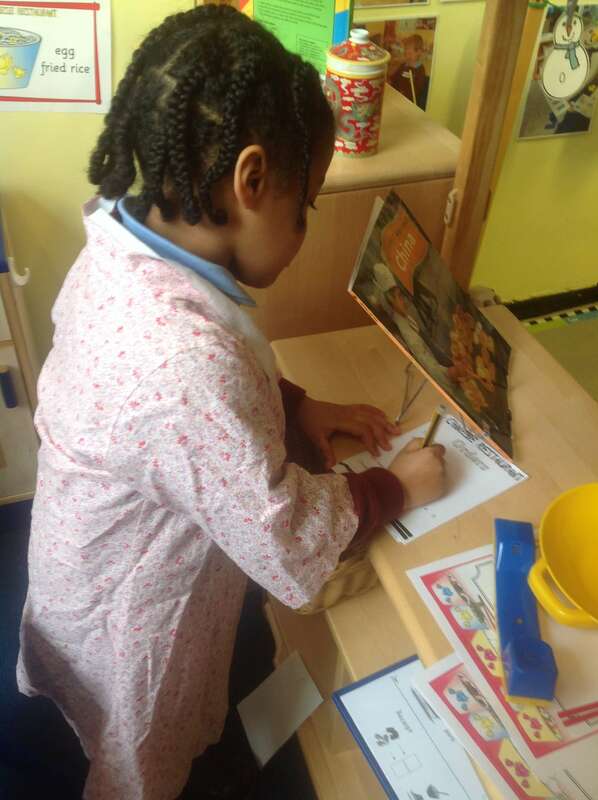 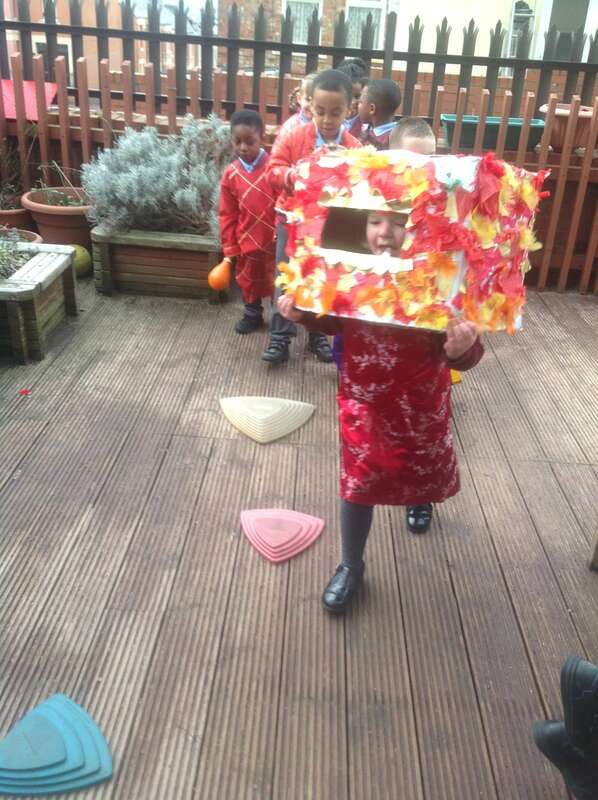 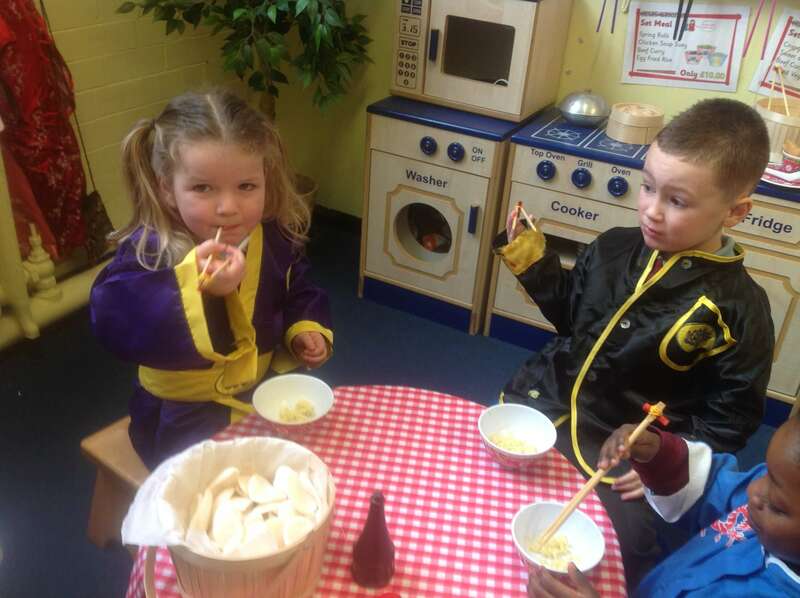 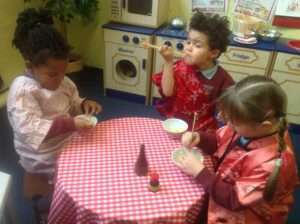 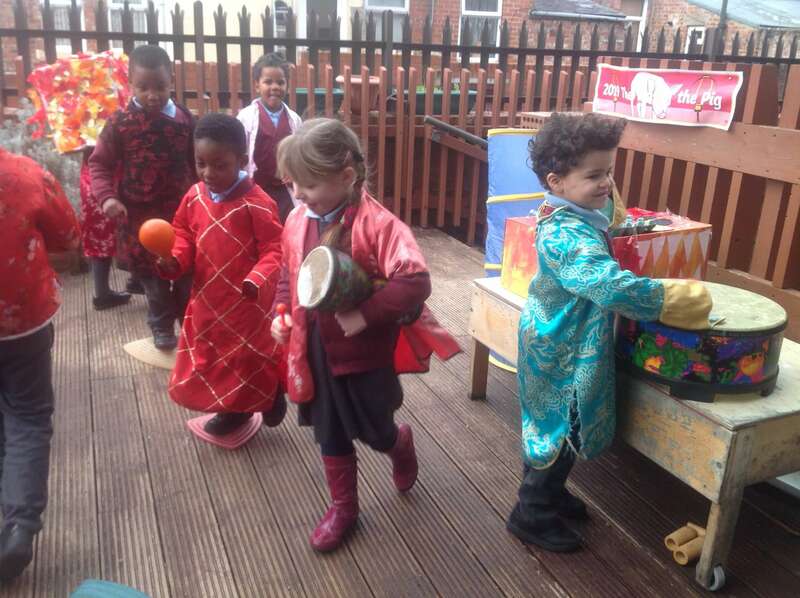 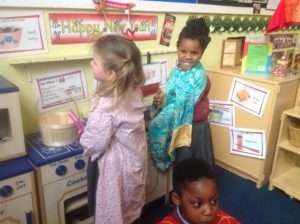 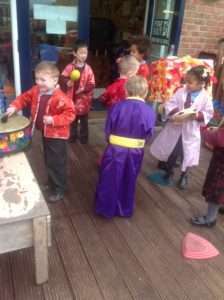 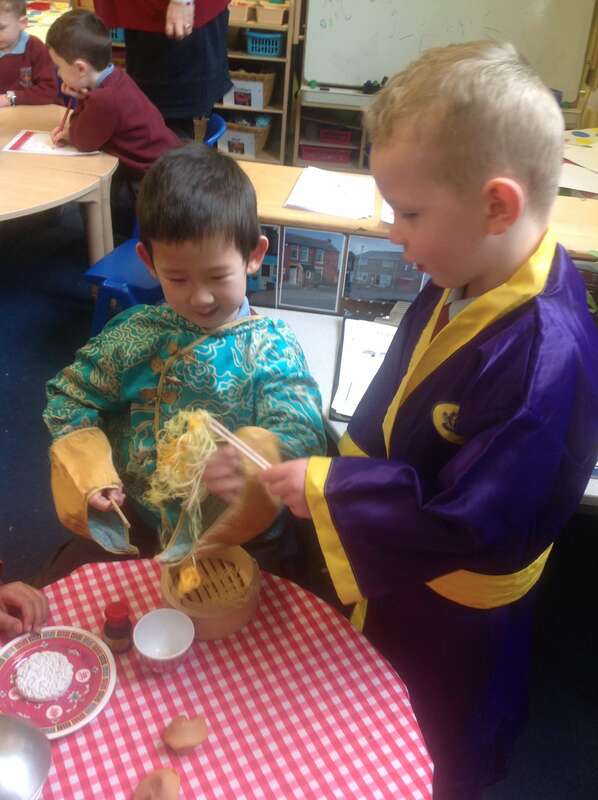 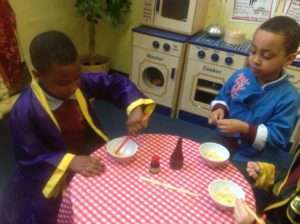 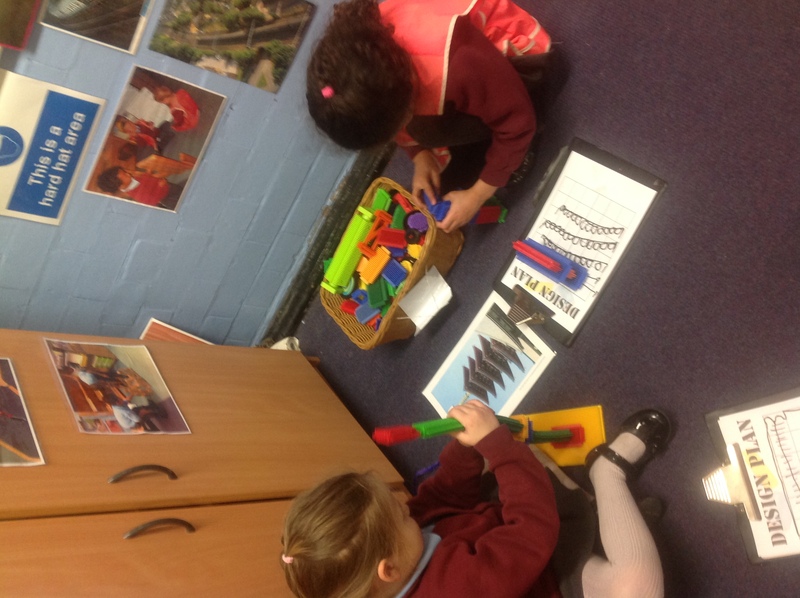 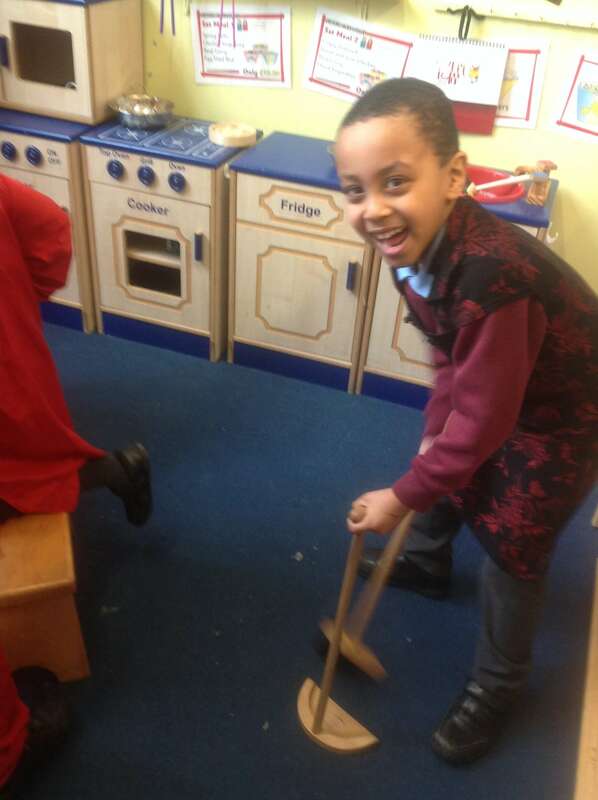 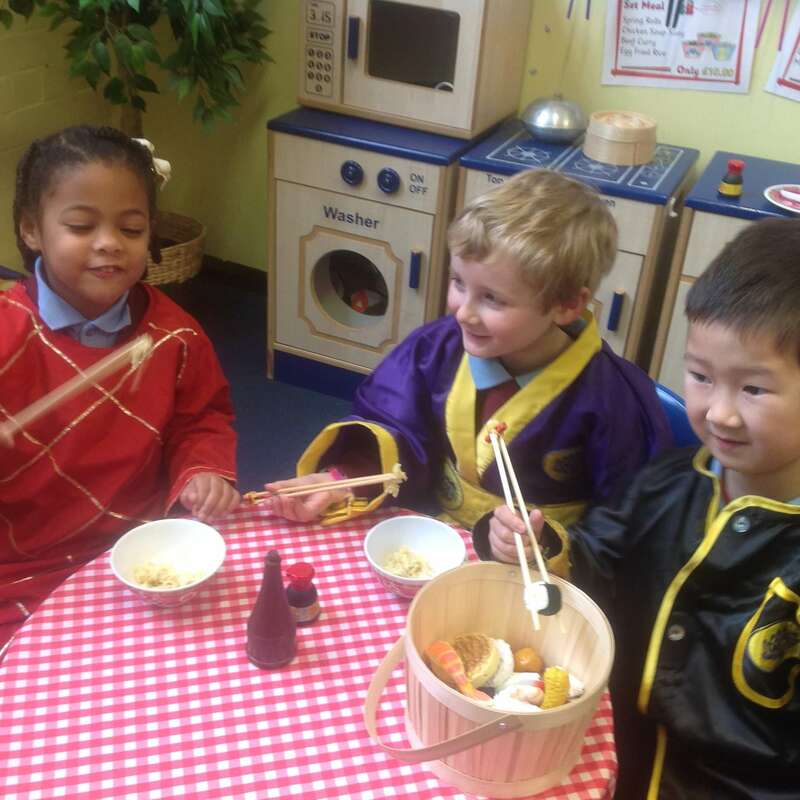 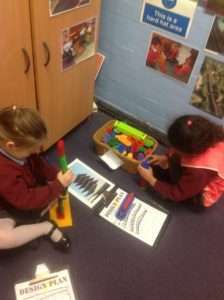 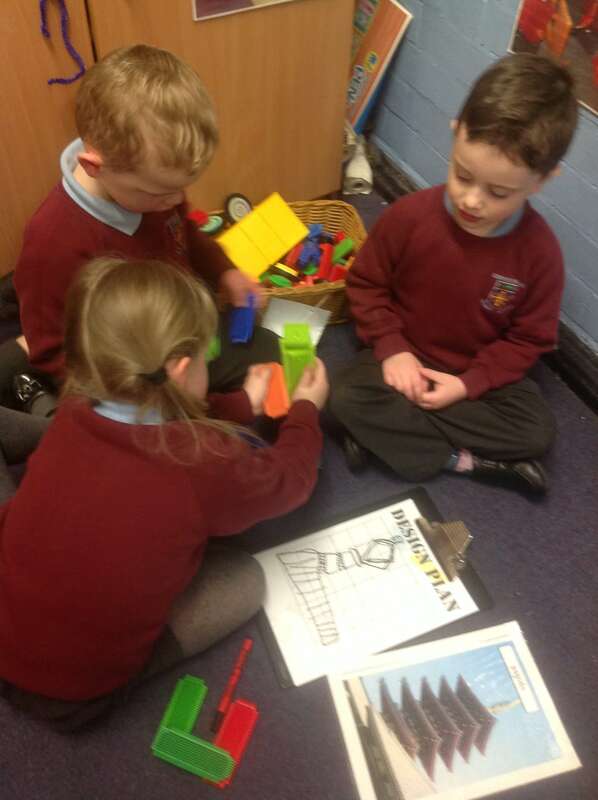 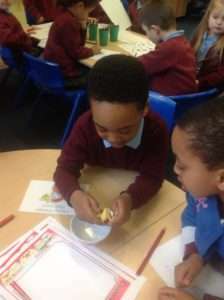 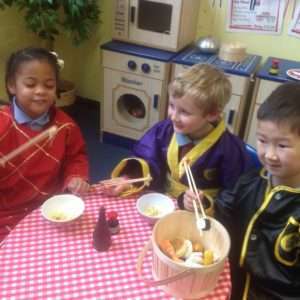 Home » All News » Reception, School News » Chinese New Year! 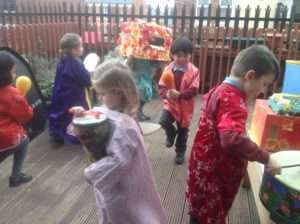 We used the computer to find out about Chinese New Year. We enjoyed making Chinese lanterns, good luck writing scrolls and having a noodle feast using chopsticks! We held a very noisy dragon dance procession!